Three weeks ago, I returned to Florida. After 25 days of traveling, I am sitting in my back yard on a lazy summer morning spending precious time with the Lord. Pondering on what the Lord is saying and processing the glorious kingdom manifestations that occured nearly daily during this God-ordained ministry trip. I am overcome by His love and His glory and power! I couldn’t be more thankful for the team, the Lord picked in His wisdom and foresight. God’s glorious impact in Egypt, Cyprus and Germany have caused a very fruitful harvest for the Kingdom of God! A fresh wind of the Holy Spirit is blowing in the Northern African region. Many precious Christians have been such faithful servants of the Lord in those countries. There is a move of God errupting in NORTH AFRICA!! The mission all started with a Leadership Training and continued with preaching and ministering in 4 churches in three cities up and down the Nile river. There were visits in Christian homes to encourage them, to pray for them and to love on them. We focused more intensely on one church in particular and there came a mighty shift and revival with rejoicing broke out. The entire congregation and the leaders were impacted by the Lord’s transformational glory presence. God-ordained strategic declarations and degrees were made in behalf of the nation and especially over the Nile river. The orphanage is for all children, no matter the religion. A small hospital has been added, as well as living spaces for needy and widowed mothers with children. 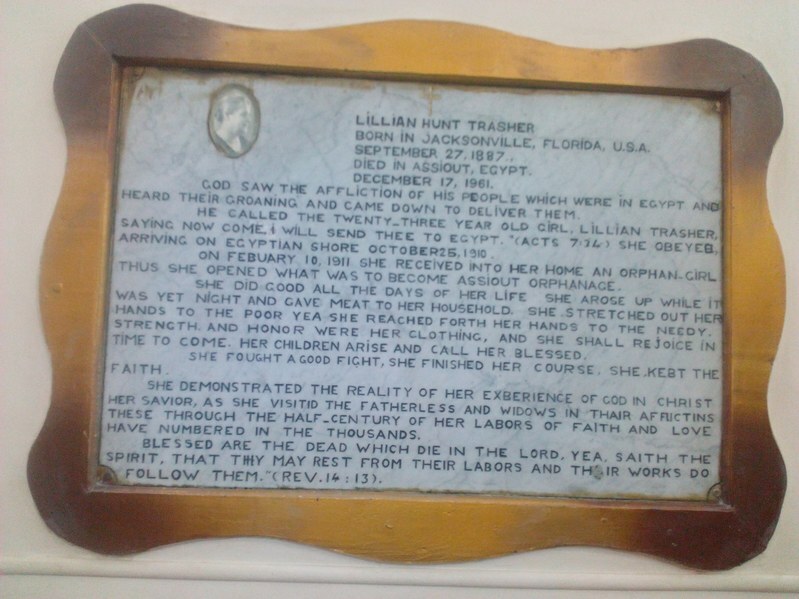 More than a century later it has grown to be the largest orphanage in Egypt. 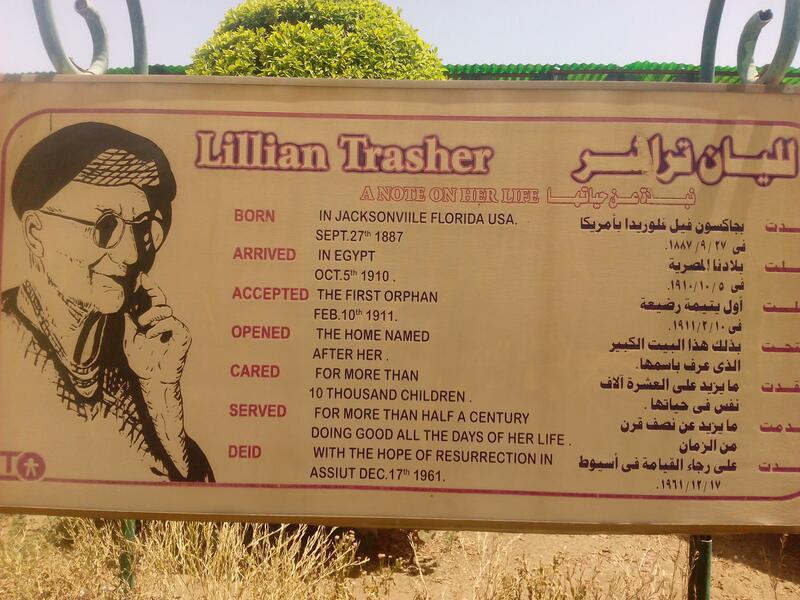 I like to honor Lillian Trasher for her devotion to Jesus Christ and her faith and boldness in the Holy Spirit! “She demonstrated the reality of her experience of God in Christ her Savior, as she visited the fatherless and widows in their afflictions. These through the half-century of her labors of faith and love have numbered in the thousands. A special thanks to those who have been interceding while we shared from the heart of the Father every day being led by the Holy Spirit. There have been numerous times I literally felt the undergirding power of the prayers of others. Physical weakness can occur. But when a Holy Spirit charge comes to wipe away all the symptoms, it is known that intercessors just prayed and all thanks belong to the Lord for the outcome!!! There were situations, we were rescued from and I know the prayer warriors had something to do with it! Hallelujah! I thank my God in rememberance of you! As always, thank you for standing with us and being a real Partner in our mission. We are determined to multiply all we are entrusted with, so that the fruit in your account will also be multiplied.